For all the young couples who are looking for some great places for their honeymoon within the country, we have enlisted some of the most beautiful and remarkable locations India has to offer. Each of these spots is unique and has something special about them. Here are a few suggestions of Honeymoon Places in India in February. If you and your spouse are adventurous and are eager to try out some super cool adventure sports, Manali is your ideal destination. This magnificent town located in Himachal Pradesh has various historical places you can visit and some of the most beautiful snow capped mountains and valleys you shall ever see. The hotels here are priced affordably, and the cuisine here is sumptuous. Rohtang Pass is the place to be if you are an adventure lover, as they offer activities like skiing, snow scooter ride, and paragliding. visiting Old Manali, Hadimba Temple are great time pass activities. You should also visit the Vashist Hot Water Springs. Bhuntar will be your nearest airport located at a distance of 50km away from Manali. there are also public buses from the various place around the country. However, you would be better off travelling by private buses as this place is far off from other main cities. Couples who live nearby can also opt to drive your way up, and enjoy an exhilarating drive. Dham, Kadhi Chawal, Red Rice, River Trout are some of the local food that one must have to complete your honeymoon experience. River Country Resort, Span Resort, and Spa, White Meadows Resorts are some of our top picks of hotels are resorts you may choose to stay at. You also have a lot of budget-oriented hotels and home stays where you can stay. Spending 5-6 days at this beautiful and lovely place will ensure that. Pondicherry is a great place to go to with your spouse this February; especially if you are planning a honeymoon. The historical beauty, culture and the various attractions that this place has to offer will make your honeymoon fun, amazing and a memory that you will cherish for the rest of your life. A former French colony and a union territory Pondicherry is known as the French Riviera of the East and likely so for the churches, beaches, and serene backwaters. Paradise Beach, Aurobindo Ashram, Auroville Ashram, Basilica of the Sacred Heart of Jesus, the Seaside Promenade, and for water sports like banana boat rides, parasailing are just a few of the activities newlyweds can do in Pondicherry. Puducherry Airport at Lawspet, Villupuram Railway Junction are the options for people who prefer to travel via air or rail to reach Pondicherry. Pondicherry is also well connected by road to other parts of the country. you can rent a two-wheeler, or car upon reaching Pondicherry and drive yourself, or book cabs or use uber if you prefer not to drive and sit back and enjoy the view. Pondicherry is probably the best place to have authentic French delicacies. It also has a lot of restaurants that serve north Indian, south Indian, and intercontinental food. La Villa, Palais De Mahe, Villa Shanti, are a few great hotels that you may choose to stay at. There is a lot of lodges and government rest houses to chose from. Spending 4-5 days would be adequate for this place. 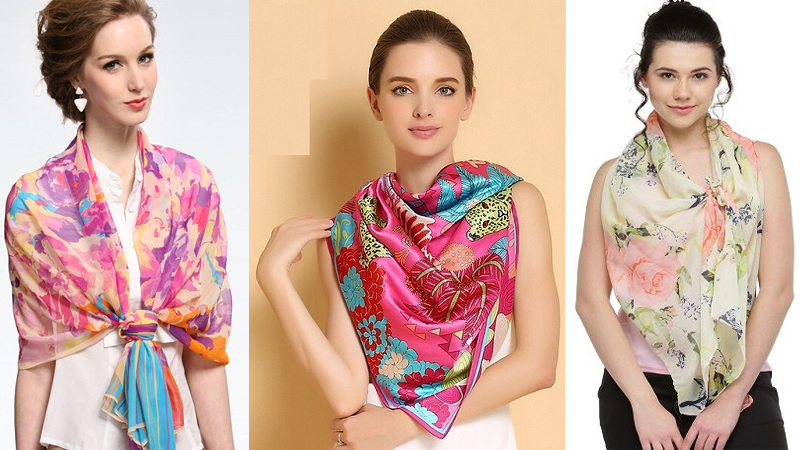 Srinagar is known for its ancient settlements, cuisine, luxurious hotels, and scenic beauty. The vibrant houseboats, beautiful lakes, and pristine waters are sure to make your honeymoon ideal. There are quite a number of museums you would like to visit, and it has indeed been considered as a dream destination for all honeymooners. Srinagar has its own airport named Srinagar International Airport, the railway station at Jammu Tawai and is well connected to the other parts of the country by its road system. Srinagar has a lot of gardens, and lakes and the life of the local people revolve around this. 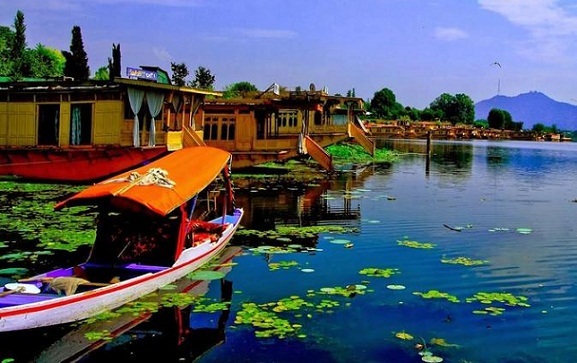 The Dal lake and the Shikara Ride in it is undoubtedly the main attraction of Srinagar., Mughal Gardens, Nishat Bagh, Shalimar Bagh, Char Chinar, visiting the Shankaracharya Temple are some of the places couples can visit to imbibe the romantic climate and have a peaceful time with their better half. Kashmiri kebabs, TabakMazz, Gushtaba, Yakhni are a few of the local cuisine that is unique to Srinagar and has become popular around the world. Only by having the local food of Srinagar can you enjoy the country to its fullest. The first option for everyone visiting Srinagar is to rent a houseboat and stay afloat on the dal lake. Other options like Vivanta Dal View Srinagar, Four Points by Sheraton Srinagar, The Lalit Grand Palace Srinagar are some of the best hotels and resorts in Srinagar. There is a lot to see, enjoy and experience in Srinagar, and spending a weeks time would be great for newlyweds. 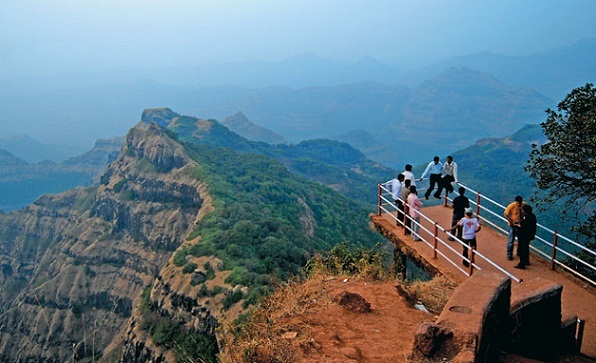 Mahabaleshwar is one of Maharashtra’s popular hill stations and is known for its beautiful atmosphere and environment. The scenic beauty of this place is marvellous and is sure to create that romantic mood that every couple looks forward to in their honeymoon. The beautiful Venna lake should definitely be visited as this is a great place for fishing, boating and pony riding. Located in the Western Ghats, Mahabaleshwar is a hill station in the state of Maharashtra, which is blessed with rivers, and peaks. visiting the Elephant’s Head point, Chinaman’s falls, Dhobi waterfall, boat riding in Venna Lake, the suicide point know as Arthur’s seat, trekking at Pratapgad are all places that are mesmerising. Mahabaleshwar by Flight would be the fastest option and the Pune international airport would be your hub from where you can hire a taxi to your destination. By railways, Wathar is your closest railway station, upon reaching you can hire a taxi. Mahabaleshwar is well connected to other parts of the state by roadways. Freshly available strawberries, corn, mulberry and ice cream made from these are available everywhere. The Vada Paav and Chikki are among the most favourite street food. Mapro Garden Restaurant is one place where the pizza and brownie are popular. A place to retreat to under any budget is available in Mahabaleshwar. Le Meridien Mahabaleshwar Resort & Spa, Bright land Resort & Spa, Ever shine Keys Prima Resort, are some of the best high-end resorts and hotels. 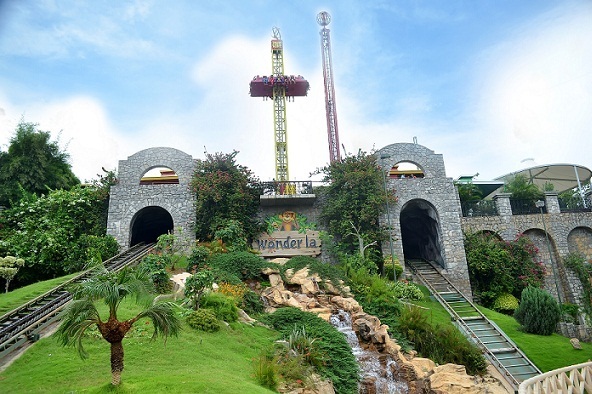 Nirvana Inn, Jungle Valley Resort are some of the budget-friendly places. Newlyweds can spend a good 3-4 days in this place and retreat back to their new life with fond memories, and yearnings to come back again. Udaipur is one of the most imperial and prestigious destinations of India. This place is historically relevant and has some great monuments and forts that you would love to visit. The various numbers of museums and lakes here are sure to give your honeymoon that romantic touch and make it an experience worth remembering. Udaipur is known as the land of the lakes, and rightly so. And most of the tourist attractions and activities are centered around these lakes. Lake Pichola, Fateh Sagar Lake, are some lakes where you can enjoy a great scenic boat ride. Historical monuments like the City Palace, Sajjangarh Palace and the Jag Mandir palace situated in the middle of the Pichola Lake is open for tourist to look back at history and the wonderful architecture of the past. The Vintage Car Museum, Jagdish Temple, Doodh Talai Musical Garden, and the Gulabh Bagh and Zoo are a few other places of interest for tourists. Udaipur is one of those cities in India that have a lot of connectivity with other parts of the country. the Maharana Pratap Airport is just 24 Km from Udaipur, the main railway station in of the city are Udaipur City railway station and Rana Pratap Nagar railway station. Using a cab for city rides are reasonable. Like the place, the food of the place is also rich with its vibrancy and heritage. Lavang Lat, Kusli, Jalebi, Cashew Barfi, Sabudana Khichdi, Moong Dal Halwa, Korma, Rogan Josh, Chicken Biryani, Kheema, Mutton Kababs are foods that are popular and giving it a try would be wonderful to complete your experience of the city. Udaipur welcomes a lot of tourists and hence has a lot of places to stay. You may choose from the wide variety of hotels, resorts, lodges that fits your budget and taste. You may spend a week to 8 days at Udaipur and can cover most parts of the city and its surrounding places. 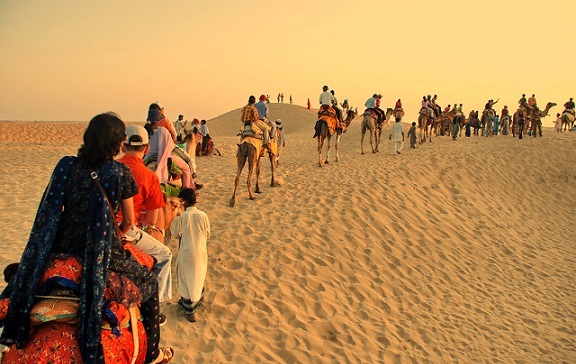 Jaisalmer of Rajasthan is a great place to visit in the month of February with your loved one. It has several temples and havelis you can visit, but the best thing you shall find here is the camel ride. It inspires great romance and almost brings your fairy tale to life. Sightseeing in the golden city, parasailing above the Thar desert, sightseeing and boat sailing in the Gadisar lake are a few of the great activities that couples can indulge in. The fastest option of travel would be by rail, or by air. There are also Interstate bus tours also. Travelling via road should only be opted by couples who enjoy long drives, and could be exhausting. Jaisalmer is a popular tourist attraction and hence have hotels, resorts and lodges around the city. The local lassi, bhang, and ghotul are of the mandatory food items every couple must have once in Jaisalmer. Couples could invest an overall of 5 days for their honeymoon. One of the finest honeymoon destinations in India is the Varkala beach of Kerala. There is something very romantic about the blue waves crashing against the rocks of the shore, beautiful sunsets, salt air that constantly brushes your skin and the remarkable seafood. This place is great for those couples who are looking for a time of peace, relaxation and enjoyment. This coastal town in the district of Trivandrum is slowly emerging as a hotspot for tourist attraction, and rightly so. The Varkala cliff and the beach beside it a great sight in itself. 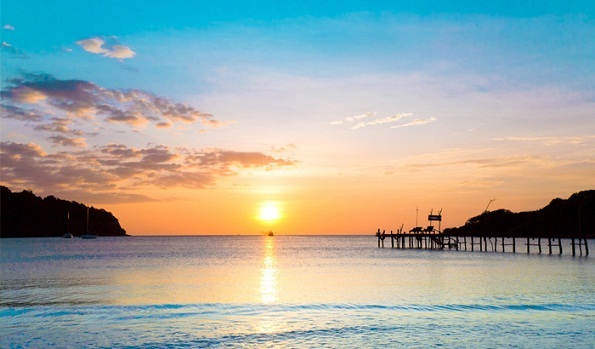 The beach also has an array of water sports like parasailing to keep the adventure junkies satisfied. Edava Beach, Varkala Lighthouse, Janardhanaswamy Temple, Anjengo Fort are some of the tourist attractions of Varkala. Varkala since being situated in the capital district of Kerala has well built and connected roads, railway system, and has its own Airport. The Trivandrum domestic and International Airport is just 40 Km away. You can hire a taxi from the airport directly to your destination, or can reach the railway station and catch a train to Varkala. 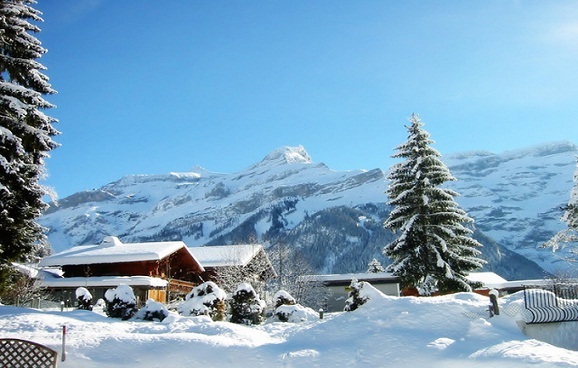 Hotels, resorts, and lodges have set up their business in the vicinity and provide excellent service. the rates may be high or low depending on the season. This is a small place compared to most in this list and hence spending 3-4 days will be ample enough to fall in love with this place. The best place to visit Bangalore with your spouse shall be February. The weather is balmy at this time of the year and the places here as beautiful as ever. It has great temples, parks and impressive buildings that will surely blow your mind. Visiting this place for your honeymoon is sure to be great. The garden city of India is also one of the biggest cities in India. Bangalore is a city with a blend of history and future. Bangalore Palace, Cubbon Park, Bannerghatta National Park, Lal Bagh, Ulsoor Lake screams the city’s attempts to preserve its history, natural beauty and wildlife. MG Road, Wonder La Water Park, Innovative Film City, ISKCON Temple, are the states that the city is the place for the future. Bangalore is a metropolitan city that has well-constructed roads, airports, and railway system connecting the whole country with the city. The traffic in this place is high and hence hiring a cab, or UBER would be better for tourist that are not familiar to the place. Most of the countries cuisine are made available in different parts of the city. If you crave for any food, it’s probably available in the city. Just like the food, the places, there are a lot of places to stay in and around the city for couples to spend their nights. Hotels, resorts, lodges and home stay under any budget bracket is available. A well-planned vacation spanning for a week will be great for couples to fall in love with this city. Though Khajuraho is considered as the city of temples, it is definitely far beyond than religion and worshipping the Gods and Goddesses. Every sculpture here brings out the eroticism and sensuality and makes a very romantic destination for newly wedded temples. There hotels here are priced moderately and this place many beautiful attractions to offer. Going to this place should never cause regret. The main attraction of this place would be the ancient Hindu and Jain temples that stand the test of time and are renowned for its unique architecture. Kandariya Mahadev Temple, Lakshman Temple, Dulhadev Temple are a few of the temples that couples must visit. The Khajuraho Dance Festival happens in February or March, which make the timing perfect for couples to visit this place. 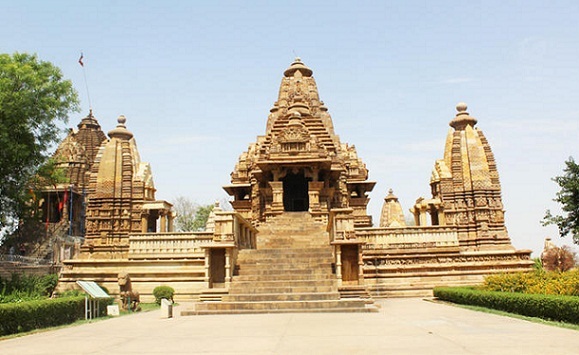 Khajuraho has all option of travel as the city has their own airport, railway station, and roadways which are well connected to the rest of the country, which makes travelling easy. Rogan Josh, Korma, Mutton Kebabs, Lavang Lata, Kheema, Moong Dal Halwa, Jalebi, Cashew Barfi, Kusli, Chicken Biryani, Sabudana Khichdi are some of the no miss delicacies of the place. Hotels, restaurants, home stays lodges and government rest houses are available for newlyweds to choose from. If you need to grasp the complete beauty of Khajuraho you need to spend about a week at this place. Manali, Bangalore, Varkala etc are every time favorites of tourists Young couples can choose from 9 top honeymoon places in India in February and embark on that much-awaited trip post-wedding! Do share your suggestions We would also love o hear from you on your experiences while on honeymoon. 1. Are There Good Tour Guides in Mahabaleshwar? There are some great Tours and Travels agencies in the city to assist you with a tour guide. For information contact us via the mail address at the bio of the page. 2. What are The Other Places for Sightseeing in Khajuraho? The only other great thing of interest is the sound and light show portraying the lives of the Chandela Kings. Most of the other places of interest are monuments. 3. Is The Varkala Beach Safe for Non-Swimmers? 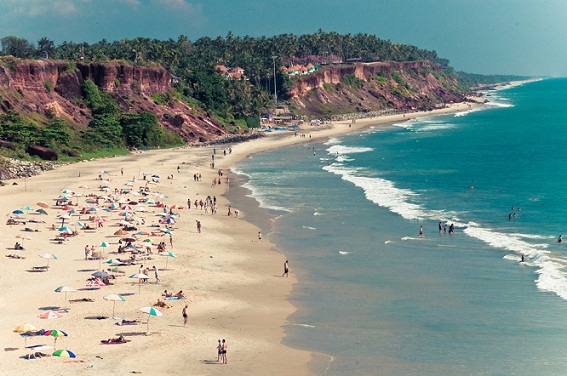 Varkala beach has areas where it is completely safe to enjoy yourself without risk of drowning. South India Honeymoon Places beautiful of in best Kodaikanal? 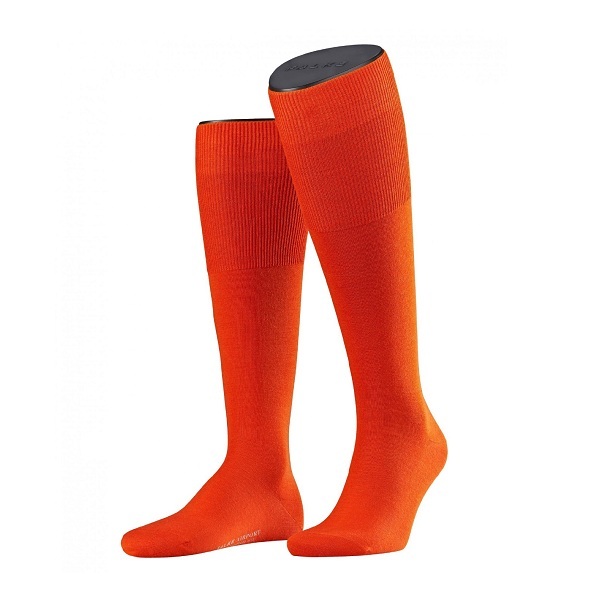 This guide http://stylesatlife.com/articles/kodaikanal-tourist-places/ will help to tou.